EuroJackpot is the second pan-European lottery worth your attention. With a jackpot cap of €90 million, it is EuroMillions’ greatest contender. The game is played in 18 European countries, but you can play EuroJackpot online from wherever you are on theLotter, the world’s leading lottery messenger service. Here’s everything you need to know about the EuroJackpot! Playing the EuroJackpot is easy. All you have to do is pick 5 main numbers from 1 to 50 and 2 Euro Numbers from 1 to 10. To win the first prize in the EuroJackpot, you have to match all the main numbers and both Euro Numbers. The EuroJackpot is drawn once a week in Helsinki. The official draw takes place on Friday evenings at 21:00 (Helsinki Time – GMT+2). When you play EuroJackpot online, you can buy your tickets up to a few hours before the draw. You can even sign up to get reminders to make sure you play on time. You can ever set up a EuroJackpot subscription and never miss another draw! The EuroJackpot has 18 participating countries – Croatia, the Czech Republic, Denmark, Estonia, Finland, Germany, Hungary, Iceland, Italy, Latvia, Lithuania, the Netherlands, Norway, Poland, Slovakia, Slovenia, Spain, Sweden. That’s twice as many countries as the EuroMillions, which only has 9 – Austria, Belgium, France, Ireland, Luxembourg, Portugal, Spain, Switzerland, and the United Kingdom. When you buy your tickets online, you can play both the EuroJackpot and the EuroMillions from anywhere in the world. The first prize begins at a guaranteed €10 million and it is increased every time there is a rollover. The jackpot cap in the game is €90 million, which means that the first prize can’t get any higher than this. When the EuroJackpot first prize gets to €90 million, it will stay at this amount until this is won. In the following draws, all the ticket-sales funds for the jackpot are moved to the second prize, which will then increase with every rollover. The rules stipulate that the second prize can grow until it reaches the €90 million cap. Up to this point, however, there is no precedent for this. 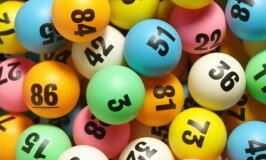 There are 12 prize categories in the EuroJackpot lottery. Except for the jackpot which has a minimum and maximum amount, EuroJackpot prizes are not fixed at specific amounts. Each prize is allotted a quota of the total prize fund, which means that prizes differ according to ticket sales. All the prizes in the game are pari-mutuel. They will be split evenly between all the winners of that prize category. In the table below, you can see the full prize list for the EuroJackpot. The EuroJackpot and the EuroMillions are Europe’s top lotteries and both of them offer some amazing prizes each and every single week. The EuroMillions is the titan of the European lottery world and the EuroJackpot is the exciting newcomer bringing up quite a bit of competition for it. Naturally, all of this is in the lottery players’ favor, with more jackpots to aim for. The two games have the same play pattern (5 main numbers + 2 additional numbers) and offer jackpots ranging from a minimum amount to a pre-established cap. There are 13 EuroMillions prizes to win every draw, and 12 prize tiers in the EuroJackpot. In the table below, you can see Europe’s finest compared in terms of winning odds, jackpots and participating countries. Play EuroJackpot and the EuroMillions online for the chance to be a Euro-lottery champion! Until now, the first prize in the EuroJackpot has reached the cap amount six times. The first time was in 2015 when the jackpot was won in the Czech Republic and the last time was in November 2018, when 5 players from Germany, Spain, Finland, and Italy shared the €90 million pot.